Natural Vibrations or affectionantly known as Natural Vibes is among the few who have been able to transcend the Hawaiian Islands and make an impact around the international Reggae scene. Most notably known for their LIVE SHOWS and their love for the culture of island life (Hawaiian and Jamaican) their song "Green Harvest" lives up to the name Natural Vibes, sending a skanin' shiver down your spine. Natural Vibrations is also an aspiring Finnish reggae group. 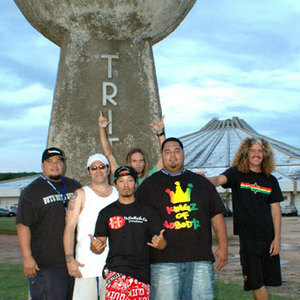 However it is not the same as the one mentioned above, which is a well established Hawaiian reggae group. SOON TO RELEASE THEIR 5TH CD. CHECK OUT WWW.NATURALVIBRATIONS.COM FOR FURTHER INFO. ALOHA!!!! !